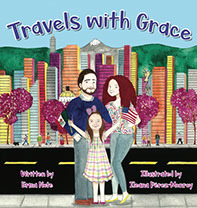 Grace is a bicultural, bilingual girl living in Mexico City who loves to travel and learn new things. She is excited because her cousin, Connor, is coming to visit from the United States. Grace and her mom put together a plan to teach Connor about this city in Mexico: its language, food, culture, and important places. What new things will they do and see? A portion of the proceeds of this book will be donated to Nuestros Pequeños Hermanos orphanage. To learn more about how you can contribute to helping the children of Nuestros Pequeños Hermanos orphanage, please visit www.nph.org.